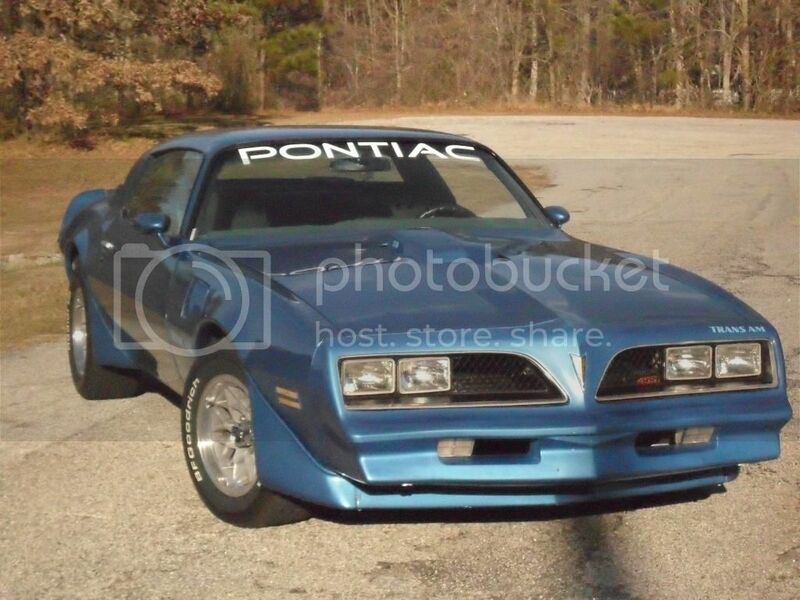 I've been looking around for Trans Ams in the 9-11k range and the only ones in really good condition I can find in my area are 79's and 80's, but I really dig the 77-78 front ends and I know people have swapped them out before. 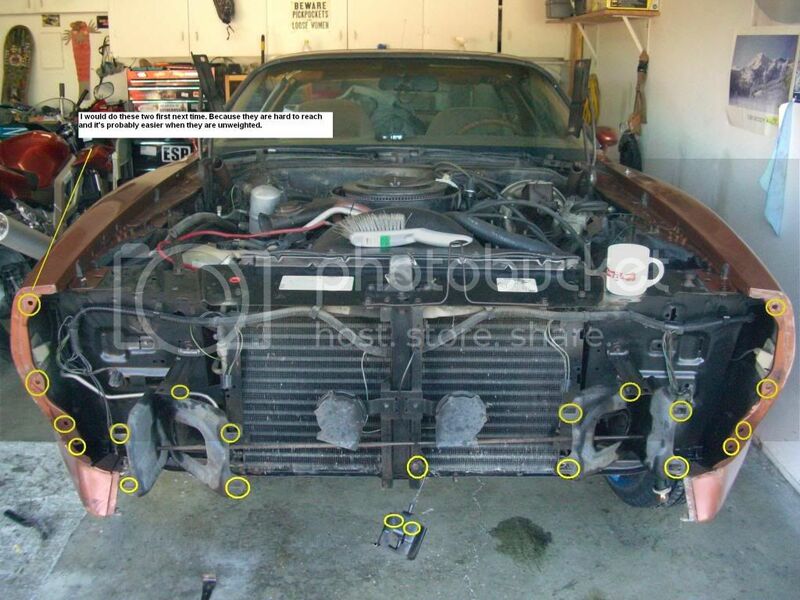 How hard is it to replace the front end on a Trans Am? Are there any guides out there that detail the process? I found a deal on a 79 not too far from me but if I have to pay someone to replace the front end for me, it might not be worth the cost. Before you get too invested in the idea, can you live with having a different rear end -- i.e., mix a 77/78 front end with a 79-81 rear end? Some people think that combination looks a little strange. Changing the rear end is a lot bigger deal that the front clip swap because the tail panel and gas tank filler is completely different. Just something to consider, for what it's worth. I don't think I would mind the difference. I mean, I've seen both rear ends and don't personally think that mixing and matching the fronts with the rears ruins the overall look of the car. Changing the front would be my main gripe. Klatt88 has done it most recently. Lots of other people have changed out the doghouse/hood for a different year, but he's the one to have done it most recently for a 79 ---> 77/78. He did it after his 79 clone got clobbered in an intersection. oh yeah, we have done it. 79 T/A got owned by a verizon van, front end completely totaled. We replaced the whole front end, but put a 77/78 front end on it. Changing out the front end is not hard, you do need to have the front metal support bar that slips into the bottom part of the nose. As long as you switch out the support bar, then the nose will fit onto your car, you might have to drill new holes in the fender to mount it. Here is a picture of the front support bar. Ive had 14 T/A's and work on lot of friends cars . Hell if you live in Toronto i'll Swap it over for you ! there are 8 main bumper bolts 7/16 i think . And four 1/2 on each fender at the nose. feel down each side where the nose meets the fenders. Oh and you have to splice the 2 front signal lights . They are different from the 79 wiring. I believe the parking/turn lights will still plug in directly with no problems, however they are a bit different, visually. And here is the Naked 1980 nose support layout for a little compare and contrast. I like the hawk eyes better too. But check the 80/81 nose from the side it's nice. And is growing on me. Since you mention the rear section of the car , does anyone have any info or pictures of changing the rear section? Because I also can buy a 79 t/a but I want the 77/78 look as well. you need to remove and replace the 79 tail panel (area between the 1/4's w/ one from a 74-78 car). this requires drilling out the old spot welds and welding in a new one. rero tail panels are not the greatest AFAIK. new bumper, tailights, gas door and gas tank. the snouts are different. i almost did this but i didnt like the tail lights with the nice frnt. end. so i left the 79 frnt. alone. now lookin at his thred made me think..What was i thinkin? I want to do the same thing sort of.When my 78 got hit I found a really good deal on an entire 79 front end so I bought it.I would really like to put the correct nose piece on but I dont have all the parts for the 78 since they were destroyed.Just to get the car running I will have to use what I have, but at some point I want to make it right.All the wiring looks the same so I dont think I will have any issues with that. the wiring does have to be changed for the signal lights in the front or splice in the 77-8 wires. I like having the orignal wiring , dont like to cut and paste wiring . Even though nun of my lights are orignal im making wiring plugs to blend into my old wiring. So I know what I am looking for,what is different.The wire harness that came with the front clip I bought seems to have found a new hiding place,so all I have is what is with the car.Thanks in advance. The front clip is a very easy transition (as all the others have mentioned). I've done the transformation and am FAIRLY happy with it. I recall, many years ago, several friends and I all owned pre-'79 T/A's & Formulas. AT THAT TIME, we felt the only thing good about the design changes for '79 WAS THE TAIL LAMPS. In addition to the differences mentioned, the Wheel Spoilers, Front Air Dam, and Rear Spoiler are all different. The '79+ spoilers will not interfere with the '78 clip and create no additional problems. Personally, I prefer the look of the pre-'79 foilers and will EVENTUALLY replace them. Although, I believe the '79+ spoilers are much more durable. I like the 75 radiator support bars on there. I have those on my 76 also. much better then the wimpy 76-81 style. Front is easy. now try the back end !lol. Mine was a pain in the .... well ,lets say it took some time . Super old thread, but it was hands down the best thread I found when doing my front end swap so I'm just adding some pics here for referece and a few comments. I too wanted a 77-78 but could not find one that was in my price range and not a rusted mess. 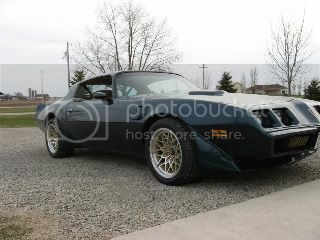 Plus I love wrenching and although I have wanted a "Smokely and the Bandit" Trans Am since I was my daughters age (7) and now I'm solidly in my 40's I am not above doing a front end swap to finally get my dream car. Finally, this is not a show car - I drive it to work at least 3 days a week 75 miles round trip. Yes, the purists will hate the car all day long due to the frankenstein front end, but thats fine. To each thier own. You couldnt knock the smile off my face when I drive this car - every time. Even when its not running "perfectly". I found a front end from a local parts yard - everything was included such as grill, lights, bumper reinforcement, cover, etc. I paid $500 for the whole thing. It was not in perfect shape but a lot less expensive then buying all new parts from one of the vendors. Install took just a few hours and following this thread everything bolted up. The turn signals bulb holders had to be slightly modified but work fine. No wiring issues at all - I did not change one wire out during this install. I'm can't quite see but did you swap to the early flares and chin spoiler? I know its a an old thread, but I looked at the existing wiring some time ago, and it looks like the wires may be a little short to fit the 79 front end. The side markers are in the same location, so that is not a problem, but the turn signals may be a little short. I think the headlights will reach. I'm a long way from finishing this, but I'm glad it worked out for you. To escape racing, Good Job! Car looks really nice and youre happy with it. Don't worry what others may say. Exactly, you're happy. Got the car you wanted, daughter, life isn't so bad. Enjoy. No, i left the 79 flares and chin spoiler. Another thing that will really bug some folks but I dig it. Not sure, I didnt extend any wires though. More than happy to take more pics if anyone needs them. I'm missing one front turn signal housing but the other one worked out fine.